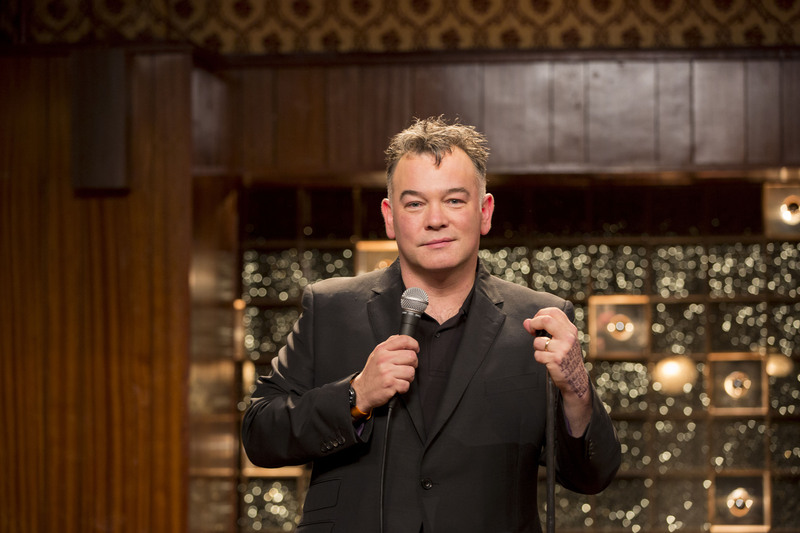 Stewart Lee’s Comedy Vehicle has been axed as part of budget cuts at BBC Two. The legendary cult comedian made four series of the programme in 2009, 2011, 2014 and 2016. It featured some of Lee’s finest stand-up routines interspersed with short sketches and films (featuring the likes of Kevin Eldon, Paul Putner and Tara Flynn), and faux-interviews with the comic as he was grilled by first Armando Iannucci and later Chris Morris. “I am explaining this here as people have been asking me about the future at gigs and in kids’ playgrounds and I don’t want to see the news mangled into sensationalist click-bait by Bruce Dessau or Jay Richardson. On May 5th BBC Comedy told me they won’t be making a series 5 of SLCV, and I am grateful for a quick answer. Viewing figures remained just under 1m, including i-player, which is good apparently as most are falling, reviews were mainly very good, and personal feedback from viewers was great. But BBC2 has a substantial funding cut to deal with and I’m told the comedy dept is going to concentrate on scripted comedy. All the other stand-up on TV is made by the Entertainment dept which, I am sure you will agree, isn’t me. I am really glad to have produced 12 hours of stand-up with an old school 20th century BBC logo on it. The team I got to work with were all superb, including Richard Webb, Chris Morris, Armando Iannucci, Tim Kirkby and regular cast members Kevin Eldon, Paul Putner and Tara Flynn. And the last episode of SLCV4 was my favourite of the 24 we made over the ten years. Looking around The Machynlleth Comedy Festival last weekend I realised how lucky I had been to be the comedian that got to do four series like this. I set no store by awards, but for the record SLCV got BAFTA nominations for every series, and won one for series two, though 3 and 4 were better. We also won two British Comedy Awards, and loads of Chortles. The DVD of series 4 is out Monday Oct 10th, with loads of extras and a Luke Drozd slipcase. There will be a book of the annotated texts of all four series further down the line. I had hoped to get two years’ grace to write and tour a proper two hour show like Carpet Remnant World, and then write another SLCV, but perhaps film it in 1000 seater + rooms and embrace the tragedy of acclaim. Recording stuff to an intimidated 120 people that’s been honed in rooms of 1000s now feels weird, but the next tour, CONTENT PROVIDER, will now become a proper big-ideas piece of work. As Stewart explains, Series 4 will be available on DVD in October. We’ll bring you more news on that one as soon as we have it. Series 1, 2 and 3 are available on DVD via Amazon and other retailers now, and for a full list of where you can see him live between now and next January, visit his website. Please note: Stewart Lee’s views on Bruce Dessau and Jay Richardson do not reflect our own here at TVO.